The following is the another of many older articles that will appear on my website. 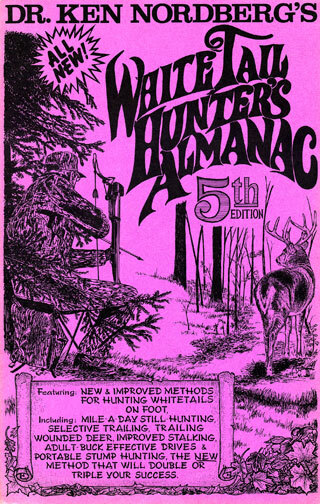 This is article was first published in Midwest Outdoors in February of 1997. 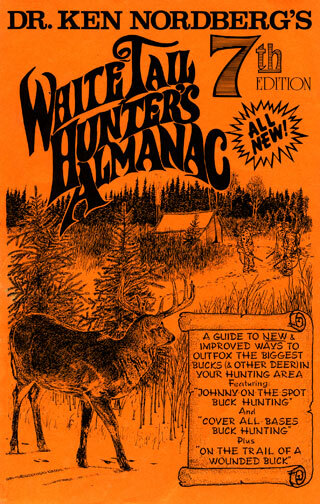 Please share what you learn from these articles with your whitetail hunting friends. The hunt for this particular buck (actually my second choice) began with the discovery of its fresh, identifying tracks (six inches in length from tip to dewclaw — about as big as whitetail hoofs get) and droppings (one inch in length — about as big as whitetail droppings get) last April. Many of such tracks and droppings were found off-trail throughout the eastern end of a lowland basin, long a favorite whitetail feeding area, rich with graze in fall and browse in winter. From the basin a small stream empties into an adjacent beaver pond (one of a string of four), both favorite whitetail watering spots. Now knowing this buck had survived the winter and having discovered a favorite feeding area and watering spot (shared with a doe and fawn) two-hundred yards east of its known, swamp-ringed bedding area, I spent the following day picking up branches and sawing through trees that had fallen across a trail (a wolf-inspired cruise trail) I had cut through this area three years earlier. 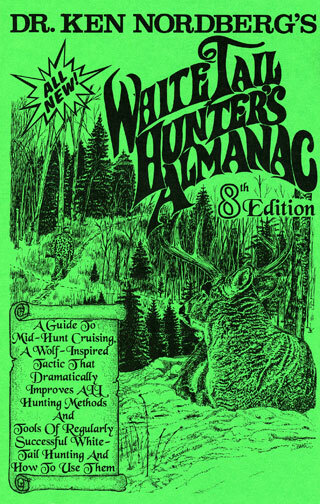 During the first week of the past hunting season, our favorite Johnny-on-the-spot hunting method, made effective by midday cruising in search of very fresh tracks and droppings that revealed current locations of desirable bucks, put us close to many unsuspecting deer daily (some several times), including the monster buck taken by my youngest son, Ken, on opening day and several younger bucks three of us declined or had no chance to harm. 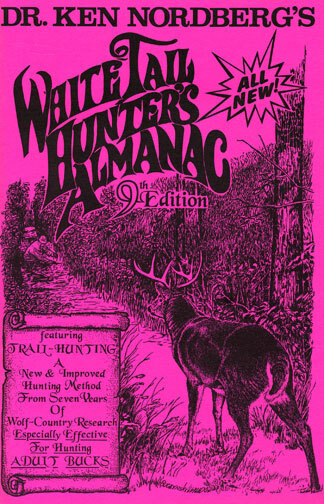 On the seventh day of our hunt, I began using my trail on the west side of the string of beaver ponds as a cruise trail and to gain downwind access to the northeast corner of the breeding range of a larger dominant buck, always careful to use proper (wolf-taught) cruise behavior — walking steadily at a moderate pace, never halting, never displaying hunting behavior, keeping my head and eyes on the trail straight head and evaluating deer signs on the fly. Upon returning to camp between 11AM and noon on the seventh and eighth days, I noted very fresh off-trail tracks and droppings made earlier by the big ten-pointer in the eastern end of the lowland basin. The buck was not dragging its hoofs from track to track, meaning it was not with a doe in estrus. The daily morning draw, then, could only be food and water. Having returned to this feeding/watering area two days in a row, it seemed very likely to me this buck would be found in the same area the next morning, a hunch I could not dismiss throughout the remainder of the day. When my alarm clock sounded at 4:30AM the next morning, snow was falling lightly and a light breeze came from the north. Upon checking my map, noting the “Xs” where acceptable ground level stand sites were selected weeks or months earlier, I headed to a small knoll where I donned my camo headnet, sat down on my portable stool with my back against a large jack pine and peered north through the branches of a silhouette-and-motion-hiding windfall. Below was the downwind perimeter of the eastern end of the big buck's current favorite feeding area. 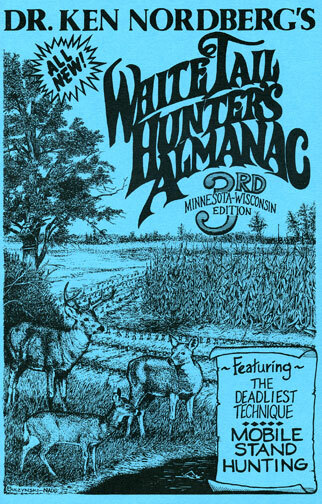 Nothing stirred until 7:20 AM, at which time the buck suddenly burst into view on my right, bounding toward me. More quickly than I could utter “What the …,” it disappeared into thick, snow-festooned hazels forty yards away, visible during only two of its quick bounds. By the time I lurched to my feet prepared to fire, the buck was long gone. 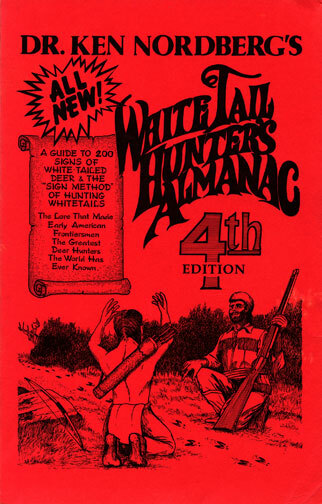 Following fifteen minutes of impatient sitting, thoroughly puzzled by this turn of events I began an investigation of the buck's movements before and after it was sighted, something I always do whether a desirable buck is taken or not. Backtracking revealed the buck had been feeding directly toward me from the northeast. It therefore could not have smelled me, and while sitting on my stool during the previous hour, I did not move, so the buck could not have seen or heard me as well. Yet about 150 yards away it had suddenly turned and trotted to a large balsam surrounded by dense cover about one-hundred yards east of my stand site. There it spent some minutes milling about before bounding northwest. None of this made sense. Knowing the bounding buck's tarsal glands had released an ammonia-like odor (danger scent) that would persist up to forty-eight hours, warning other deer to avoid the area, I decided to move to a crosswind stand site on the western tip of a ridge that projects deeply into the feeding area from its northeast corner. Upon jumping over the small creek, I encountered another set of very fresh tracks — the five-toed tracks of a lone wolf. The reason for the buck's strange behavior was now clear. The wolf's tracks were five inches in length, indicating it was an adult female or a young male, perhaps searching for a mate while exploring this vast, now-empty wolf range. The wolf had approached from upwind, and as it unwittingly drew nearer, the buck obviously lost its nerve, whereupon it bounded northwest and then north into the wind, thus avoiding ambush, until it reached the foot of Acorn Mountain one-half mile away. The wolf did not pursue the buck, which is not surprising. After giving me a cursory glance, the wolf walked (unhurried) south along the western edge of the beaver pond. All-in-all, it had been a perfectly planned, well-prepared half-day of buck hunting, but at this particular site (definitely the right place) and at this particular moment (also the right time), the rightful end was only marred by the inopportune approach of an unsuspecting wolf. I couldn't kick myself for that. My son Dave experienced more common whitetail hunting misadventures on opening weekend. 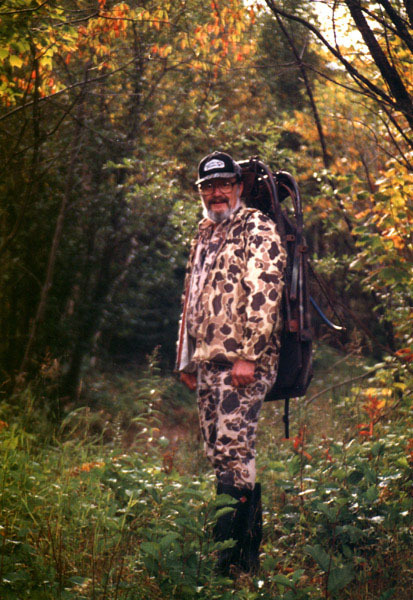 Why he selected his opening morning stand site and did all the work he did, cutting two silent, half-mile-long trails to the site to make it approachable whatever the wind direction, I'll never know. At best, his only shooting window through the very thick evergreen cover surrounding his stand site to a trail favored by a certain big buck was a mere foot in diameter. Two bucks, one very big, slipped past that window on opening morning without offering a decent shot. Upon returning to camp and cruising the area midday a week later (no human having been in the area in the interim), Dave found what he needed to know to justify trying the spot again — very fresh buck tracks on the trail. This time a younger-than-expected antlered buck obligingly stopped where its vital chest area was easily visualized through the opening and Dave promptly dropped it in its tracks with a well-placed shot from his 7mm Magnum. 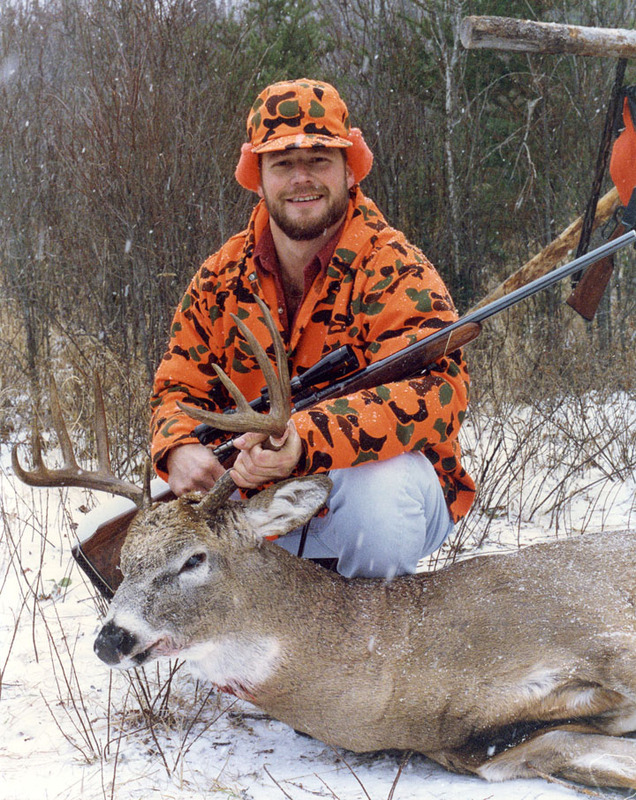 Thus was completed our self-imposed two-buck limit for the 1996 firearm hunting season, it being our goal to minimize our hunting impact on the few deer that survived the terrible conditions of our past winter (there are now less than eight deer per square-mile in our hunting area). Up to this point, at least, we considered it “a very good hunting season,” thanks to our gentle nudge (see last months's MidWest Outdoors), Johnny-on-the-spot buck hunting and trailmaking.